International: PASSED, it was November 30th - United States: PASSED, it was December 4th. Order by the dates above to have your items deliver before December 21st (weather permitted). 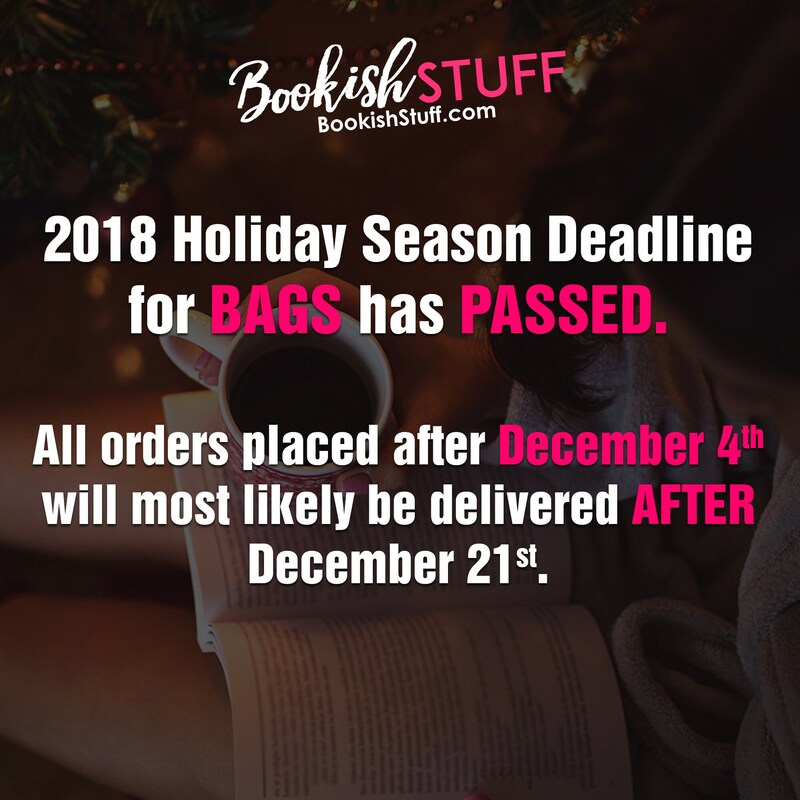 Orders placed after the given deadlines will most likely arrive after the holidays. "Remember that you are a wolf. And you cannot be caged." 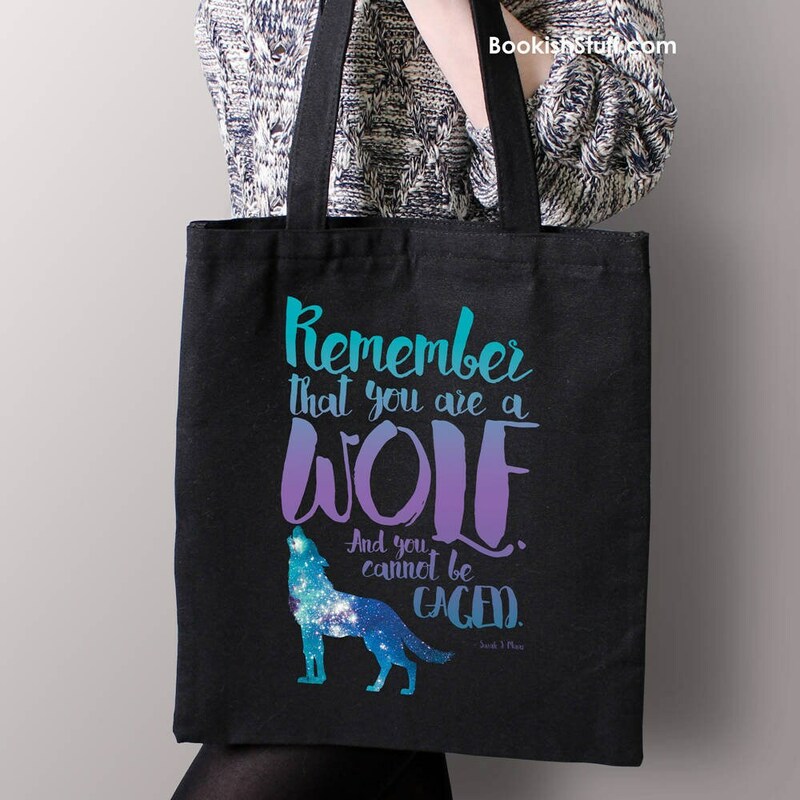 black canvas tote bag inspired Sarah J Maas book A Court of Wings and Ruin book. ► One sided printed tote!